Project Innovation @RGSNOIDA - The Take off! When the Project Innovation was introduced to our Kindergarteners to 9th Graders, it was with an intention that we train our children to lead and spearhead programmes/solutions for the larger benefit/interest of the community. Campaigns and community outreach is a great way to help raise awareness and bring about a change in the community. Needless to say it promoted leadership, responsibility and it also helped young children gain skills/experience that helped them sail through the demands of the 21st century. Since the Earth Day was around the corner and as part of our Annual activity this year too we focused on Environment as our theme to kick start Project Innovation keeping the SDGs in mind (with special emphasis on SDG4, SDG6, SDG9, SDG11, SDG12. to reduce material hoarding and consumerism and promote donations to the underprivileged. our region becomes very hot during the summer months , hence they focused on finding innovative and environment friendly solutions to bring down the temperatures at their homes at negligible cost. How to effectively reduce air pollution, something that becomes unbearable every summer. Greening the common public areas, tree and sapling plantations and tending to plants so that they don’t die. Promoting usage of indigenous ways and natural ways to keep food and water safe and hygienic for consumption. During Week 1of Innovation Project our children worked on ideas and solutions that they can implement within their own communities…they received a huge support from the parent community to bring the idea to life. We will be sharing the community testimonials on our children's effort on 'Project Innovation @RGSNOIDA - The Take off!' soon. Embedded video for Project Innovation @RGSNOIDA - The Take off! I am an enthusiastic ‘teacher-learner’ who strives to bring in innovative strategies to make learning a joyful experience for all my learnersAs an active promoter of Inclusive Learning and Integrating Technology in Education, it has been my consistent and constant endeavor to ensure that I sensitized all my learners towards creating Special Needs learning support. As a Head Teacher, I design and facilitate teacher training modules challenge participants to think about, practice and learn 21st century teaching-learning skills incorporating my 19 years of varied teaching experience, spread across the entire country (being from the Forces background, my husband’s postings often led us to the most remote corners of the country). I have advanced validations for teacher and leadership trainings from IECS-New Delhi, British Council, NPTEL- IIT Madras and from Institute of Psychotherapy and Management Sciences- Mumbai. 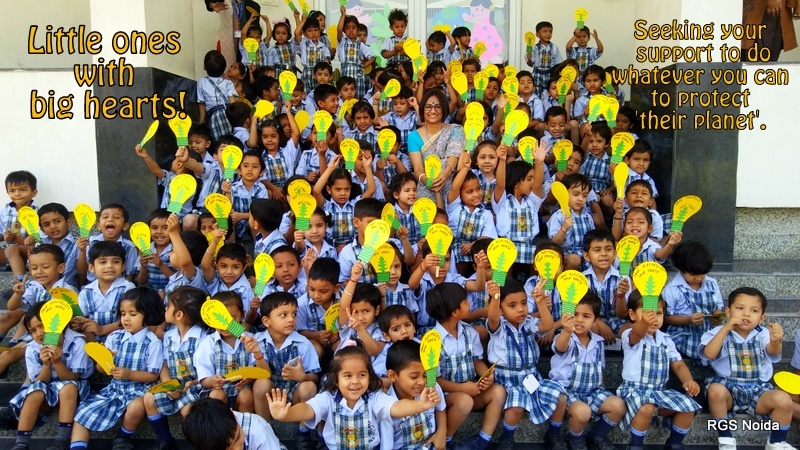 I currently head Raghav Global School and Ira Pre-School, in Noida. If not in the classroom with the children, I am very happy conducting structured training sessions for teachers on Inclusive Education, English language and Communication, Digital Literacy, Environmental Education. and designing fun, innovative learning strategies. My hobbies include reading, art & aesthetics education, travel, photography and blogging. I believe learning is an instinctive process; we focus on creating a positive environment and humane relationships- learning would happen automatically. With this belief, I teach my learners to love, laugh, learn and to grow beyond their confines… all in an endeavor to help create a place, where every individual is respected for his/her very ‘being’.